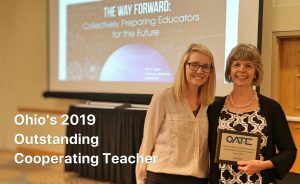 Susan Obee has received the award of 2019 Outstanding Cooperating Teacher from the Ohio Association of Teacher Educators (OATE). Susan Obee is a passionate and resourceful educator with 29 years experience in Toledo Public Schools. She has spent 10 years in special education and 19 years teaching ELA and social studies in a general education classroom, currently at Beverly Elementary School. For the past nine years Susan has been ranked as an accomplished teacher. 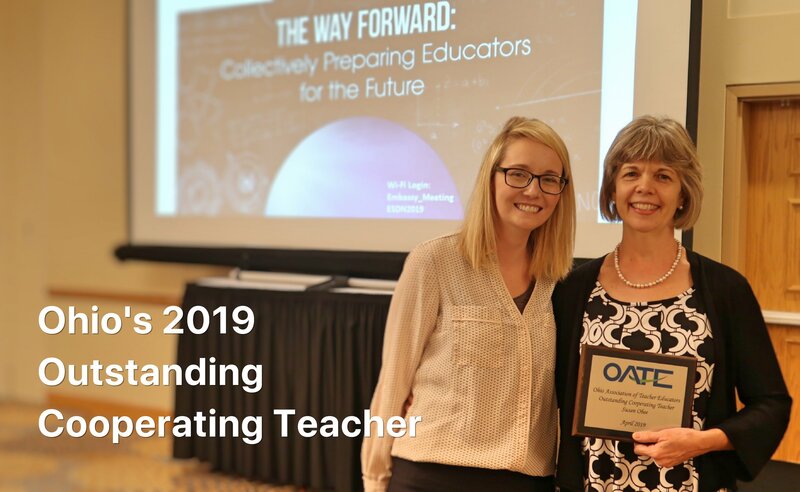 Susan is not only an excellent teacher who provides emotional as well as academic support to her students, she is also a great role model for students pursuing a career in education. Susan received her Bachelor degree from the University of Toledo and continues to give back to her alma mater by hosting methods students and student teachers. Susan has mentored 7 students from the University of Toledo. Susan has high expectations for these students and continually pushes them to continue to learn and grow as an educator. She offers feedback regularly, always finding positive things in a lesson while also constructively criticizing in a way that makes the student teacher open to her suggestions and excited to implement things a different way. Susan offers our students opportunities to be involved in every aspect of the school community. Her student teachers lead team meetings, create interventions for students, and run parent-teacher conferences. In her spare time, Susan enjoys glassblowing, beautifying her yard, reading, and volunteering. The Judith Herb College of Education gets wonderful feedback from our students and supervisors about Ms. Obee. We are honored to have her as a part of our team and are thankful for her dedication to the future of our profession. This entry was posted on Sunday, April 14th, 2019 at 3:00 pm and is filed under Uncategorized .